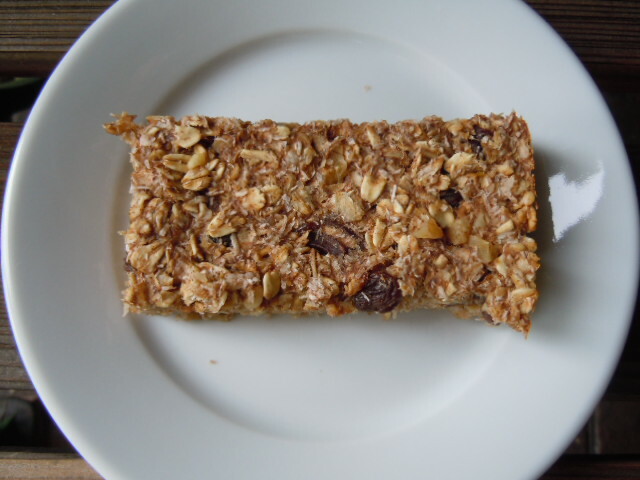 These banana oat bars are good for a grab and go breakfast – you know if you need to have a dashboard breakfast on the run! Some mornings just play out that way. They are also perfect for taking on a hike or a bike ride. Sometimes you need a little snack with a cup of mid afternoon tea or coffee – they fill that need too! I wrap them up individually and freeze them. Let them thaw on the counter or warm them up in the microwave and enjoy. These aren’t a wimpy little bar – no they are a nice size so you really feel like you have had a treat! I always add a little cinnamon and freshly grated nutmeg to boost the flavor and add a hint of sweetness.You want to use really ripe bananas as that is were most of the sweetness is coming from. If you don’t like raisins or dates you could use dried cranberries, dried blueberries or dried apricots. These bars are not very sweet which I like because they don’t send you on a carb craving streak like overly sweet treats do. Sometimes these turn out really moist and other times a little drier – I think it depends on how big the bananas are. Either way I like them! 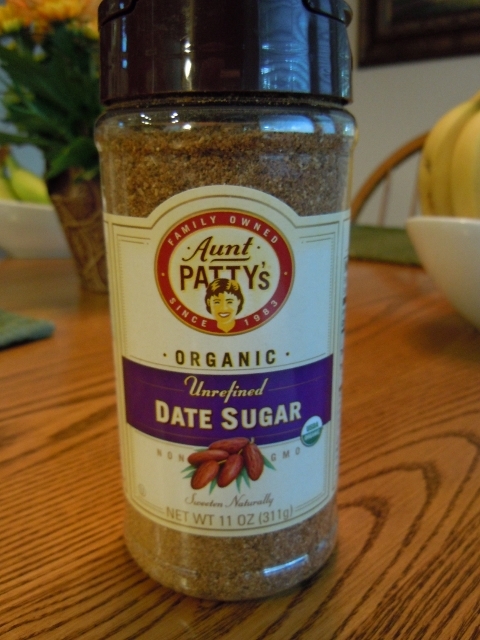 This recipe calls for just one tablespoon date sugar which is made from ground dehydrated dates. It’s less refined than cane sugar and can be used one for one in place of brown sugar in recipes. It can be found in health food stores and Whole Foods. If you can’t find it then substitute whatever kind of sweetener you have like sucanat, agave, honey, or maple syrup. If you prefer things on the sweet side you might need to use more sweetener than the recipe calls for – I’ll let you be the judge of that! 1/4 teaspoon freshly grated nutmeg or ground nutmeg – but freshly grated has more flavor. Spray a 9 x 9 inch pan with non stick spray or line it with parchment paper or use a silicone baking pan. In a small bowl mix oats, coconut, cinnamon, nutmeg, raisins or dates and walnuts. In another small bowl mash the ripe bananas, add vanilla extract, applesauce and date sugar and stir to combine. Add banana mixture to oat mixture and stir until well combined. Spread into prepared baking pan. Bake in preheated oven for 25-30 minutes. Let cool then cut into 8 bars. Refrigerate or freeze bars to preserve freshness. Recipe Adapted from Dr Fuhrman’s “Eat To Live”paperback book pg 373. These look wonderful …. Do they freeze we’ll. ? Yes these freeze well, I wrap them individually and freeze them. The bars sound great! I pinned them and will make them after our cleanse! Have a great weekend, Tami! YUMMY!!!!!!!!!! I think I need these for me 1 outside run of the week. I usually eat a more Luna type bar before – like an hour before but these would be perfect! THX! Hope these work out for you as a pre running snack Jody. We too watch most of our movies at home for the very same reasons Sharon. Once in a while we go to the theatre if it’s something we think needs to be seen on the big screen! 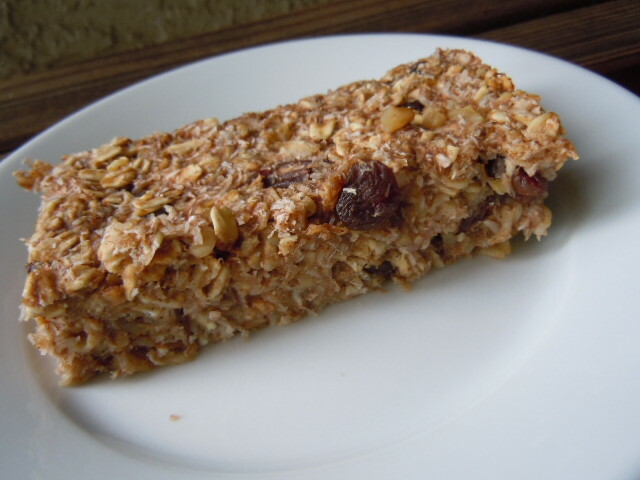 Totally making these bars – I think they will be perfect for my pre-workout snack in the morning! Love the carb count too! Yep, Walgreen’s sells movie theater size treats for $1 a box – we always sneak in our own treats and I bring bottled water too! Helps to have a giant purse! Let me know how you end up tweaking the bars Biz! Mine are in the oven right now, and I can hardly wait! I did have to sub maple sugar for date sugar, but I think they will be just like their name–YUMMY! Sounds good to me Phillys! Thanks for the recipe, I really enjoyed them. I used old-fashioned oats, dates, and coconut sugar because that’s what I had on hand. I used a bit more dates than called for, so I probably could’ve left out the sugar. It’s great snack to take on the go. I am so glad you enjoyed them Marlene! Thank you for coming back to let me know its always nice to get feedback!